Perfectly imperfect, in every way. So perfect! And that backing fabric must be so wonderfully soft - did you buy a 5m bolt, or did the customer send you the backing? I would be worried to have tried it without see it in real life first! Such a lovely quilt! 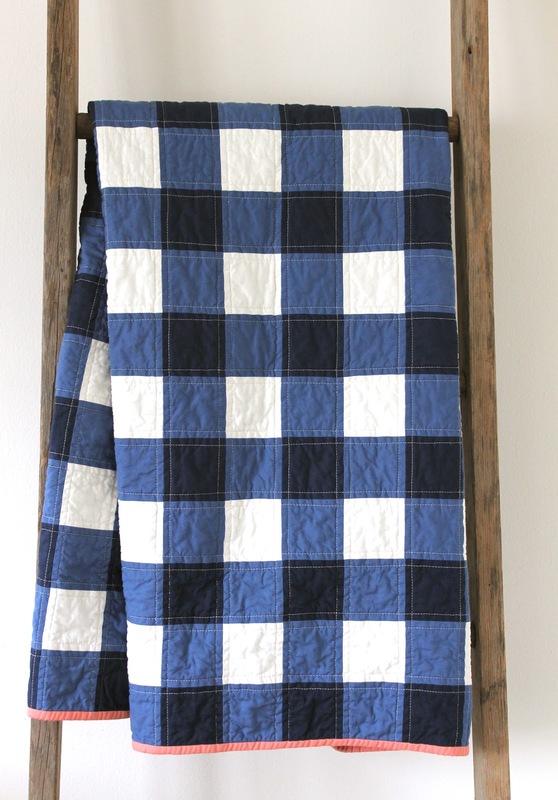 Could you let us know what fabrics yo used for the gingham and the binding? My daughter woud love that combo! Lovely! It also looks remarkably comfortable. Wow. That's expensive. I thought Liberty was a lot. What a sweet quilt. The backing is perfect. It's beautiful. 100$/m for FABRIC? That is crazy!!! I'm glad it's fantastic. I love this quilt! 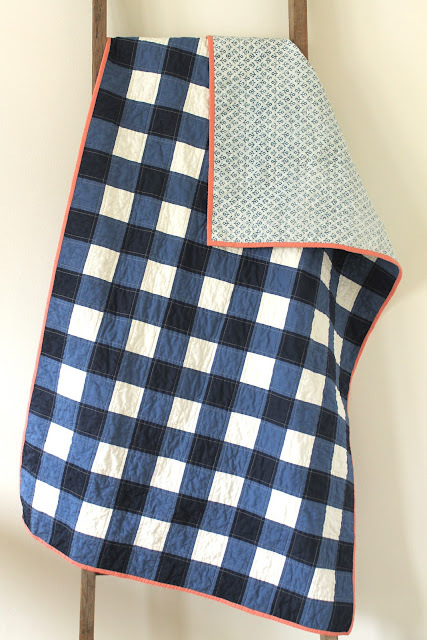 I love the blue and white front and the fun print for the backing, with that wonderful pop of peach for the binding! Feels very nautical. what a beautiful quilt! i can only imagine how lovely it feels with that gorgeous backing fabric! that is fabulous, what a great idea for a quilt! Would love to know what colors you used for this quilt--I love it! Thanks for for including the source information for the backing fabric. It's great to learn about a new supplier! 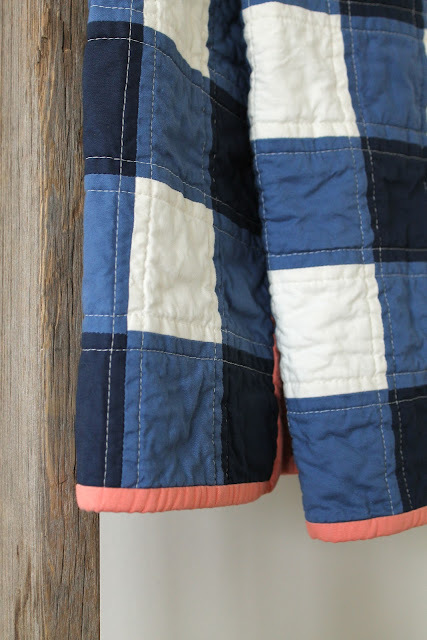 I think it is so important to use the best quality fabrics for quilt backs--it makes such a difference in the finished product. Really lovely work! What size are the squares and how much fabric did you buy of each!? What a beautiful quilt! I would love for my sister to make this for my little guy I'm expecting in January. Would you be willing to post a reference for the colors you chose? Yes please! I would also love to know the colors you chose! Also, what size squares did you use? Me too! I would like to know the type if fabric that you used for the front. Gorgeous quilt! Really nice work.you have shown that with minimum use of colors one can make craft attractive.superb work.